Looking to buy a handy and stylish bag for your photographic equipment? 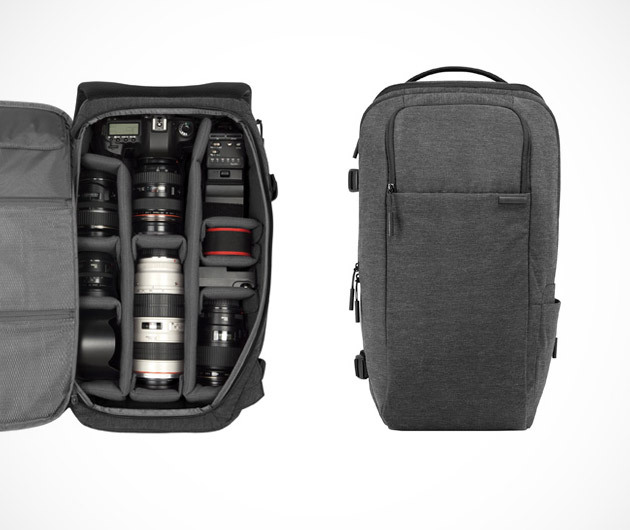 The DSLR Pro Pack from Incase ($150) offers great carrying capacity, with fully customizable dividers in the main compartment. You can also feel free to carry your iPad and 15-inch MacBook Pro in its slip pocket. The carrying case provides even greater convenience as a tripod can be attached to its external straps.